We discuss physical and statistical properties of rogue wave generation in deep water from the perspective of the focusing Nonlinear Schrödinger equation and some of its higher order generalizations. 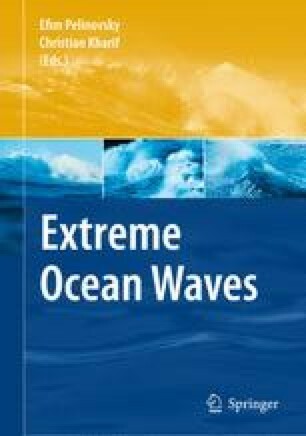 Numerical investigations and analytical arguments based on the inverse spectral theory of the underlying integrable model, perturbation analysis, and statistical methods provide a coherent picture of rogue waves associated with nonlinear focusing events. Homoclinic orbits of unstable solutions of the underlying integrable model are certainly candidates for extreme waves, however, for more realistic models such as the modified Dysthe equation two novel features emerge: (a) a chaotic sea state appears to be an important mechanism for both generation and increased likelihood of rogue waves; (b) the extreme waves intermittently emerging from the chaotic background can be correlated with the homoclinic orbits characterized by maximal coalescence of their spatial modes.